FAS has released the new indie game called “Rogues Tale” for Windows. 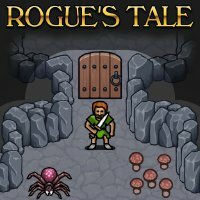 Description: Rogue’s Tale is a single player turn-based dungeon crawling game. The game takes place in a place called Frostmourn Keep and its underlying dungeons located in the World’s End Mountains. The goal is to overthrow the current king of the Frostmourn Keep and become the new king. Classless character building where you can choose to be the kind of rogue you want. Seemingly unfair, untimely and unforgiving deaths which are also permanent. Ways to counter these deaths by learning the game mechanics. 24 talents to build your character with. 30 spells to build your character even further. 30 heritages that make your next character stronger. 30 challenges to complete once you get the hang of the game.